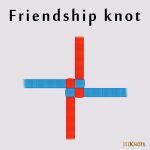 The friendship knot, one of the eleven basic traditional Chinese knots, is used to tie lanyards, straps, ribbons, neckerchiefs, scarves, ropes, paracord, etc. It has a beautiful square shape made up of alternating colors (optional) and is secure. In modern times, it has become popular with scouts and guides who use it to tie their neckerchiefs instead of a woggle. It symbolizes the bond of friendship and is the symbol of the World Association of Girl Guides and Girl Scouts (WAGGGS). If you are using rope, it’s better to use a stiff variety since it can hold its shape well. Fuzzy or twisted strings look pretty when knotted in this way. To prevent fraying of the ends, you can either whip them or put some white glue. 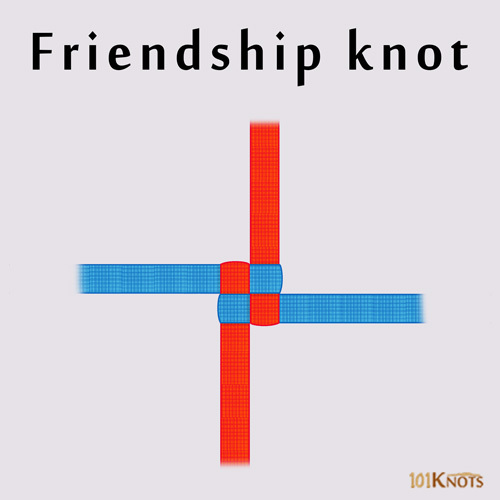 It is important to keep both the ends of equal size while making the knot. It looks symmetrical that way. Otherwise, you can always trim off excesses. Traditionally in Chinese knotting, a craft that originated in the Tang and Song dynasty (960-1279 AD) of China. As a token of friendship, thanks and as girl scout SWAPS. In tattoo and jewelry designs. 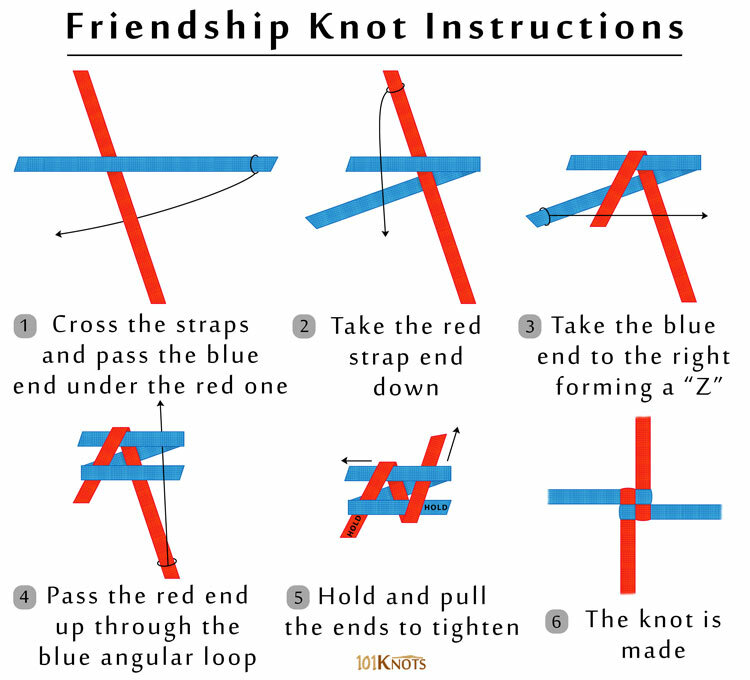 The below video directs you on tying the ends of a necker with this knot.